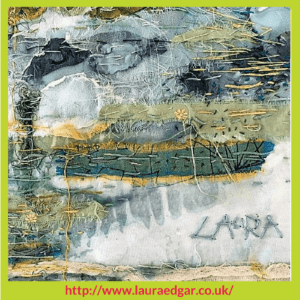 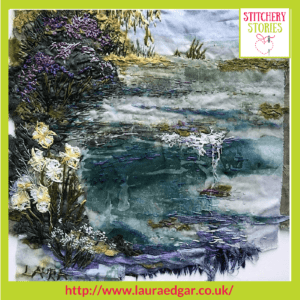 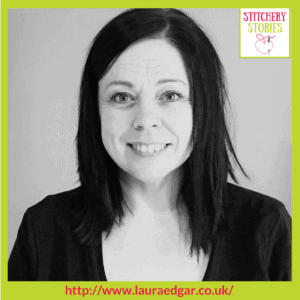 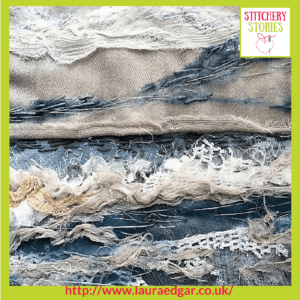 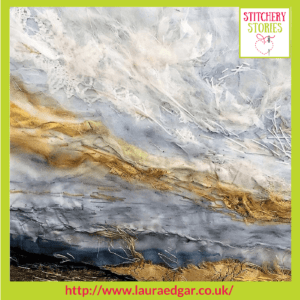 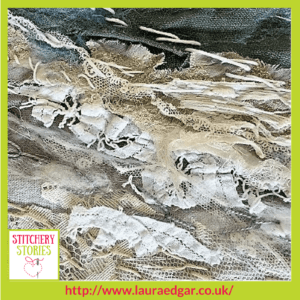 Laura Edgar is our guest today on the Stitchery Stories textile art podcast. 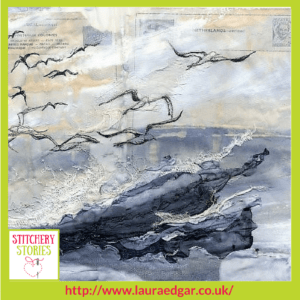 Laura shares her life as a textile artist and tutor who is inspired by her native beautiful & dramatic Northumberland coastline. 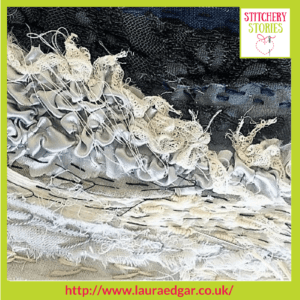 She loves to create her seascapes using recycled clothing and vintage textiles and trimmings, as well as applying paint, heat and stitch. 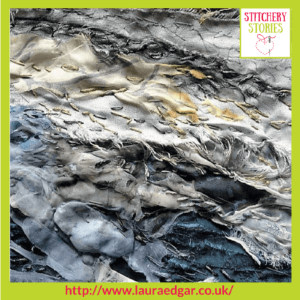 Oh, the delights of Jumble Sales & astrakhan coats!